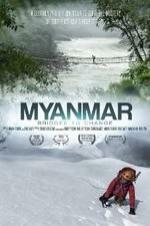 Buy or Rent Myanmar: Bridges to Change (2014) Movie DVD & BluRay Online! Movie Plot: In August 2013 a group of 7 climbers, 5 Americans and 2 Burmese climbers, traveled to northern Myanmar to make a first ascent of Southeast Asia’s disputed highest peak. All told, the climbers traveled over 270 miles on foot through some of the harshest terrain on the planet. As a country that is just recently awaking from over 50 years of military rule and relative isolation, they were offered a glimpse into a culture unaffected by the rapid pace of globalization throughout the rest of world. This film is not just a recounting of a mountaineering expedition, its a film about a country that is on the brink of rapid change, and what this might entail for the future Myanmar and its people.